Hello, and welcome to my photo blog! 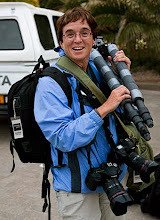 I am an accomplished and award winning photographer who enjoys having fun photographing the world around me. Through this blog, I will share my vision of the world accompanied by "the story behind the image." Occasionally, I will also add photo tips and techniques for the featured image. Hey Wendy, so glad that you have a blog going. I think you will find that it becomes one of the more fun aspects of your photography. You will have an opportunity to get some instant feedback to your latest photographs. I think that doing the features that you mentioned is a good idea also. As you know, I've done similar features for some time in Photo Trek, and have had some great responses from them. Let me know if there is anything that I can do to help you out with this.